What to do if students drop studying? 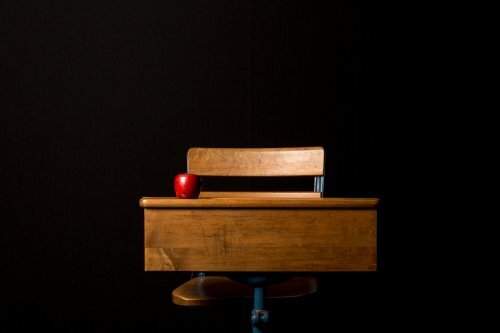 Oftentimes educators are blamed or criticised for dropout rates. Disciplining students is also a tricky issue for educators and students alike and relates to dropout prevention. Teachers have often been faced with the problem of classroom management and how to discipline with dignity. Many students at risk for dropping out sometimes display behavioural problems that challenge their teachers on a daily basis. Instead of wasting valuable learning time handling certain student's behavioural problems, teachers can learn to discipline with dignity and acquire the necessary skills, techniques, and structure needed to spend more time on teaching and positive interactions. In any case, you can always turn to online tutors. Many people believe that dropout rates reflect the success or failures of the educators. However, there are different types of dropout rates and it is important for teachers to understand them so that they can confront unmerited criticism. It is also important to remember that there is no indisputable evidence or theory that explains dropout rates. In fact, research shows that the number of reported dropout rates differs significantly over periods of time. For educators to be successful with dropout prevention in schools, they need to understand the research regarding dropout rates. Dropout prevention and the skills to discipline with dignity require an effort from educators, students, parents, and the community. First, it is important to understand the three types of dropout rates. Then, it is important to understand how to handle those students who display behavioural problems although it is important to point out that of course, not all dropout students have behavioural problems. However, it is possible to reduce and prevent further dropout rates by knowing how to discipline with dignity. This idea is very important because it prepares educators with the framework, tools and skills for being effective within their own style of classroom management while still disciplining and inspiring certain students. Discipline with dignity helps students develop their self-esteem and gives them the tools and encouragement necessary for making responsible decisions in their lives, both in and out of the classroom setting. This positive encouragement to make responsible decisions could be what leads certain students to remain in the school system and to trust in it. Regardless of a student's behaviour, a positive approach to discipline will yield better results. Knowing the types of dropout rates is important in dropout prevention. The first type is known as event dropout rates, which refers to the number of students per year who drop out before graduating from high school. The next type is known as status dropout rates, which explains the number of students who have not completed high school and have not enrolled in a school at certain points in time. The third type of dropout rate is known as cohort dropout, which attempts to measure what happens with a group of students over a period of time. Dropout prevention is an important issue and one of great concern to many. Understanding each type of dropout rate is the first step to being effective in the prevention. One of the best ways to prevent that is to know how to increase GPA. Although there is no solid information about why students drop out, there are facts about who the students are that dropout. The facts are related to the student's backgrounds, individual and family demographics, and socioeconomic traits. For example, we know that dropout rates are higher for minority students and for those from disadvantaged backgrounds. Some other facts show that dropout rates are higher for blacks and Hispanics than for whites and are also higher for students from low socioeconomic backgrounds, single-parent families, and non-English speaking family backgrounds. Yet even more research shows that students who come from families where their parents or siblings have dropped out of school are also more likely to drop out themselves. Another interesting fact is that students who marry and have children before graduating from high school are at risk for dropping out. These facts are crucial in developing a theory and plan for dropout prevention. There are many effective ways that educators can become actively involved in dropout prevention. To begin, teachers can learn the three methods for calculating dropout rates as well as review the research related to dropout rates. Then, it is important for teachers to be able to identify the traits of dropout students and why this is a national problem. Next, educators should develop a theory and explanation for dropouts based on the available research. Teachers should then be able to identify potential dropouts, as well as determine the school's role in dropout rates. It can also be useful to evaluate current dropout prevention programs and determine how a different curriculum could accommodate dropouts more effectively.